Prof. Joseph Klafter is widely recognized in his field, chemical physics. He completed his BSc and MSc in physics at Bar-Ilan University, and his PhD in chemistry at Tel Aviv University in 1978. After post-doctoral studies in chemistry at MIT, he joined the research and engineering division of Exxon in the US, where he worked for eight years. He joined the TAU Raymond and Beverly Sackler School of Chemistry in 1987, and was promoted to full professor in 1989. From 1998 to 2003 he was the incumbent of the Gordon Chair in Chemistry, and from 2003 onward he has held the Heineman Chair of Physical Chemistry. Prof. Klafter has published close to 400 scientific articles and edited 18 books. He is a member of the editorial boards of six scientific journals, and has been a member of the scientific committee of dozens of conferences. He is a Fellow of the American Physical Society among other organizations, and has won many prestigious prizes in his field, including the Alexander von Humboldt Foundation Prize, the Weizmann Prize for Sciences, the Rothschild Prize in Chemistry, and the Israel Chemical Society Prize. He also holds an honorary doctorate from Wroclaw University of Technology in Poland. Prof. Klafter chaired the Department of Physical Chemistry at TAU from 1990 to 1992, and again from 1998 to 2002. Concurrently he served as head of the Raymond and Beverly Sackler Institute of Chemical Physics. 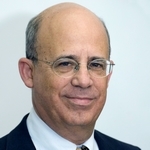 From 1996 to 2002 he was a member of the academic board of the Israel Science Foundation (ISF), and headed the exact sciences and technology subject area. From 2002 to 2009 he was chairman of the academic board of the ISF.